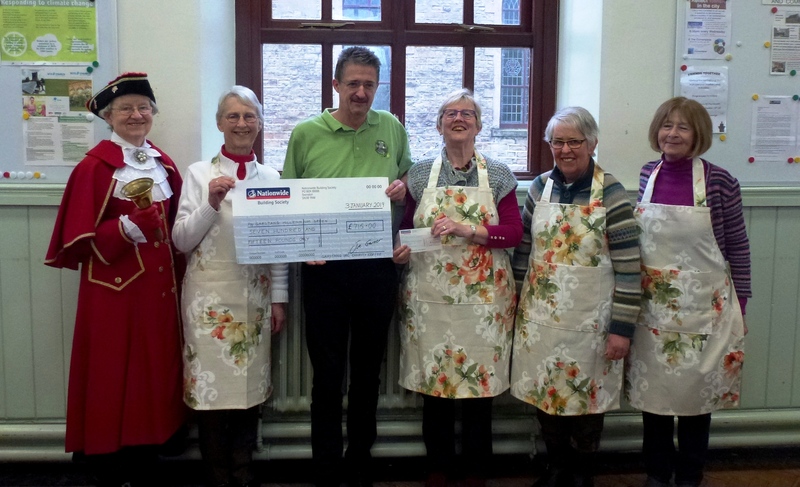 On Thursday 3rd January 2019, The Garstang United Reformed Church’s Thursday Coffee Team presented a cheque to David Halford, Chairman of the Garstang Millennium Green Trust. 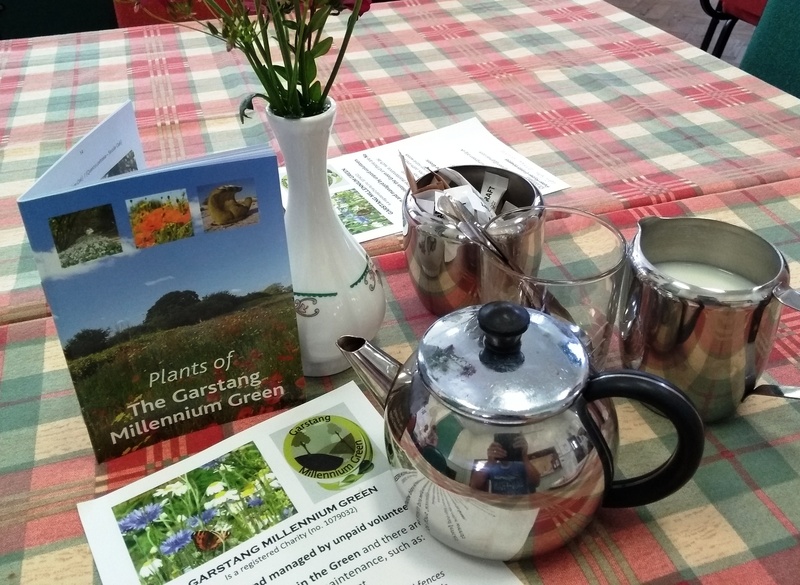 In total the Trust will receive £793.70 which will be used to maintain the Millennium Green which is an important facility used by the local community. 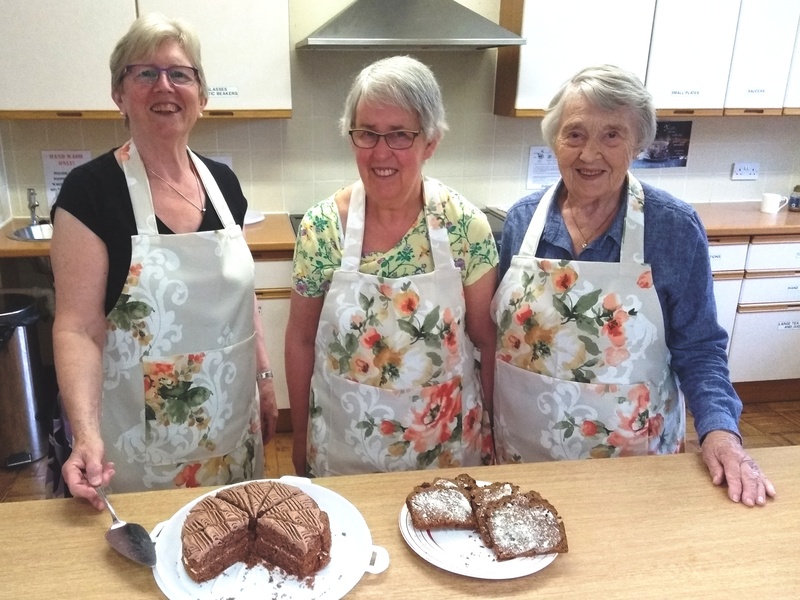 The Coffee Morning ladies show off their new aprons. 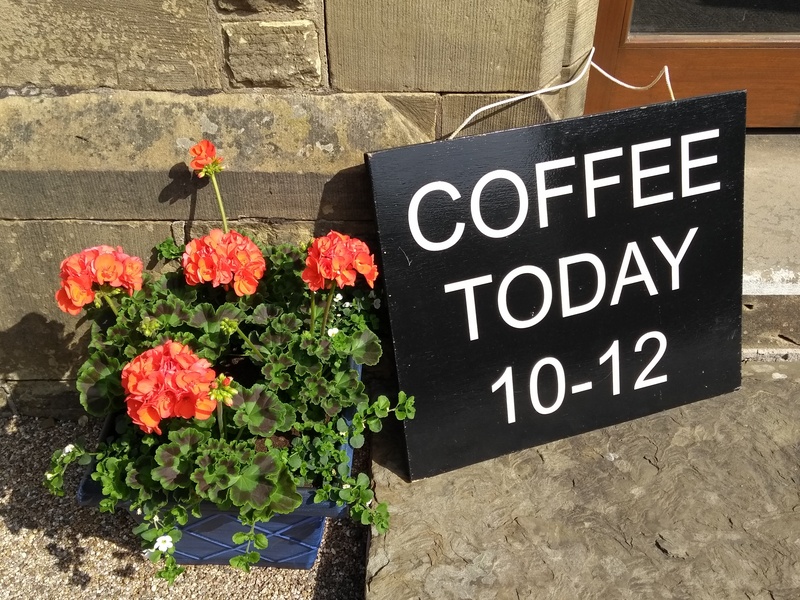 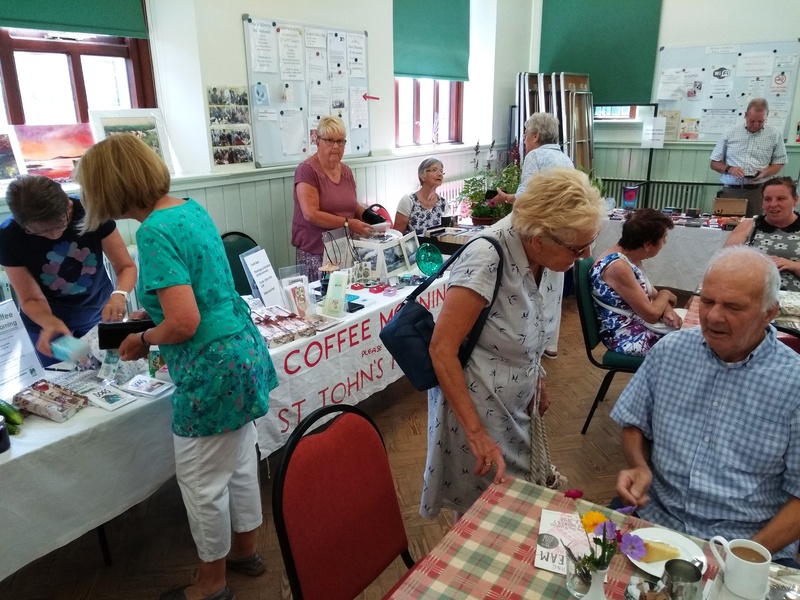 July's Coffee morning in aid of St John's Hospice.